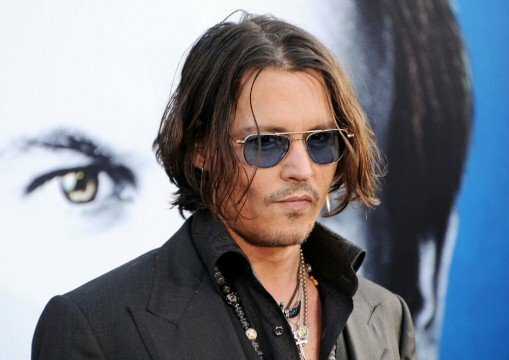 Johnny Depp has recently entered talks to star in the Rob Marshall-directed adaptation of Into the Woods. “What’s Into the Woods?” you may ask. Well, it turns out it’s a musical that tells the story of The Baker and his wife, who are cursed with the inability to have children. In their journey, they cross paths with other fairy-tale characters such as Cinderella and Rapunzel. While it sounds corny and too much like Shrek in a couple of ways, it’s said to be dark and grim. We’ve seen Depp dance and sing before in Sweeney Todd: The Demon Barber of Fleet Street, so this news shouldn’t come as a shock — besides, he’s previously worked with Marshall on the critically-panned yet commercially successful Pirates of the Caribbean: On Stranger Tides. He’s pretty busy promoting The Lone Ranger and has tons of other projects in line, though, so don’t count on him being cast in the lead just yet. While Depp’s career hasn’t been struggling all that much (The Rum Diary and Dark Shadows are mediocre but passable), the same cannot be said about Marshall. Seriously, what happened to the director of Chicago? Marshall showed promise when the musical was released in 2002 to universal critical acclaim and commercial success. He followed the Academy Award-winning film with Memoirs of a Geisha, which sharply divided critics and audiences (there was much controversy surrounding the casting of Zhang Ziyi, a Chinese actress, in the lead role). Still, not bad. However, his take on Nine left us scratching our heads. Why would you do that to your own rising career? A musical about Fellini’s 8 1/2 starring Daniel Day-Lewis? I’ve heard of some terrible movie ideas in my life, and even if this one wasn’t the absolute worst, it was probably the boldest — needless to say, it kinda tanked. Either way, we really hope he gets it right this time. Meryl Streep is also slated to star in Into the Woods, which currently has no release date. We’ll keep you posted when we get more info.